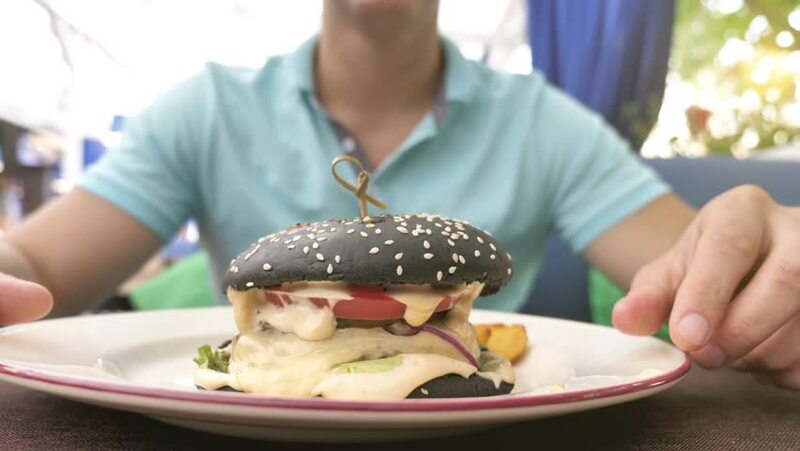 hd00:30Delicious gourmet burger is being given the finishing touches by the chef in a restaurant or hotel kitchen. In slow motion. hd00:19Delicious gourmet burger is being given the finishing touches by the chef in a restaurant or hotel kitchen. hd00:10Slow motion scene video of Asian man in red apron sitting, he is smiling and feeling proud of his hamburger.